Vapers have always been a fickle bunch – the newest flavor innovation from brands like Naked 100 or latest technology upgrade has driven us from one product to another in increasingly rapid succession pretty much since the emergence of the vapor industry as a significant force in the early part of the decade. But this grand anti-smoking experiment all started with one device, the humble cigalike. In order to lure would-be quitters of tobacco products, early manufacturers felt their products had to mimic an actual cigarette in size and shape, something that could be considered “cigarette-alike.” With little collaboration, different brands deployed various non-compatible components – the 808, 901, and 510 which, with backing from early industry giant Joyetech, would for years dominate device format across manufacturers. All of these devices, however, suffered from the same problems – the equipment was finicky and prone to leak, battery life was terrible, vapor production was weak at best, and early auto-draw batteries that didn’t require a fire button to operate were hit-and-miss, sometimes self-activating in the wind, sometimes refusing to activate when called upon. One upstart promised a solution for all of these: Blu. The first incarnation of Blu cigalikes promised innovations like a cigarette-pack-shaped charging case that held spare batteries and atomizers, pre-filled cartridges that didn’t leak, and an auto-draw fire that worked. Blu’s popularity, however, proved to be its downfall – orders backed up to the point that the company often had to shut down sales entirely to catch up on a backlog, and by the time the company sold to Big Tobacco giant Lorillard in 2012 the more powerful, easily refillable Joyetech eGo and the copycats it spawned had taken over the marketplace. While advanced vapor technology continued at a breakneck pace Blu continued to be available alongside traditional tobacco products, eventually being joined by Philip Morris’ MarkTen and RJ Reynolds’ VUSE. While monetarily successful thanks to the marketing backing of Big Tobacco, cigalikes tended to be an introductory point to vaping for many users who’d eventually move on to more powerful devices. Meanwhile in mid-2015 PAX Labs, long a leader in dry-herb vaporizers, quietly introduced the JUUL. 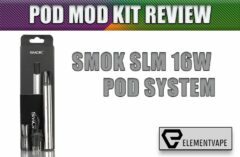 While closer in size to a cigarette than a modern mod, the device takes its design cue more from a USB flash drive than most cigalikes, and offered a considerably stronger battery than competitors. What really helped the product take off, though, was the advent of nicotine salts, a new treatment for nicotine extracted from tobacco that greatly lessened the “throat hit” associated with high nicotine levels. Using the new nicotine, JUUL was able to push the nicotine content of its e-liquid as high as 59 mg/ml, roughly 20 times as strong as most advanced vapers are used to and still three times stronger than “high nicotine” liquids available for open-ended systems. 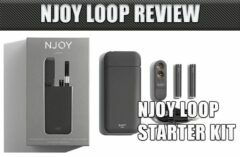 It took some time, but by mid-2017 the cigalike resurgence was in full swing, with mainstream publications like Men’s Fitness and Business Insider touting JUUL as “the iPhone of e-cigarettes.” Other manufacturers began to jump in, some attempting to replicate the device’s success but with an open, refillable system. Others, like premium e-liquid producer Naked 100, have even begun offering high-end disposables filled with their most popular salt-based flavors. As of the beginning of 2018, cigalike and pod mod sales now represent a full one-half of the vapor products market, with advanced versions of the seminal device appealing to recent converts and experienced vapers alike. 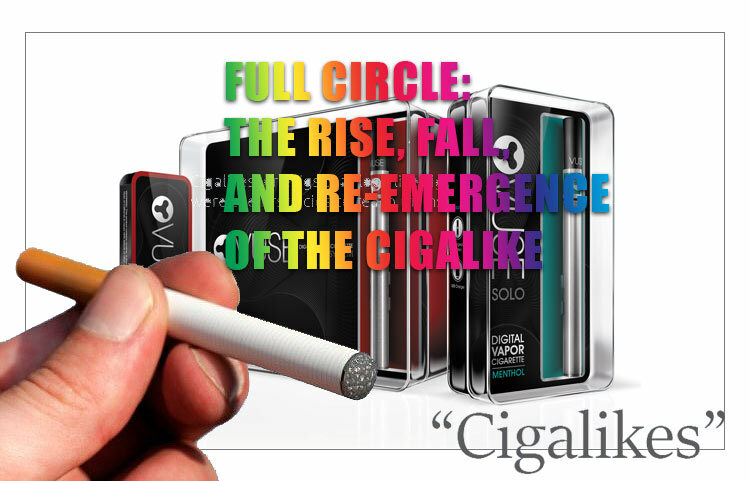 It’s easy to question how long this latest trend will last given the noted tendency of vapers to continually chase the latest and greatest innovation, but at this point we’ve got to respect the cigalike for its unmatched staying power in a perpetually-evolving industry.